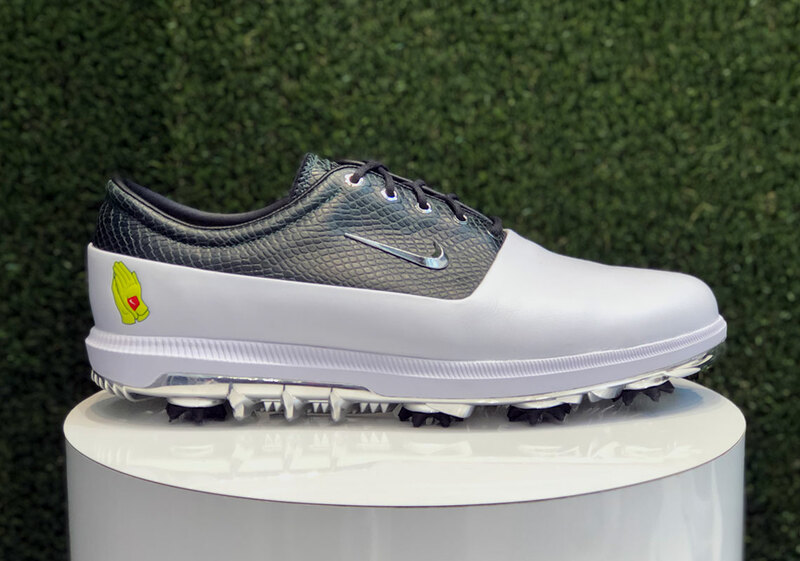 The best golfers in the world will be battling for the Green Jacket between April 11th and 14th at The Masters. This tournament is the first of four majors played during the PGA tour season and takes place at the Augusta National Golf Course in Georgia. 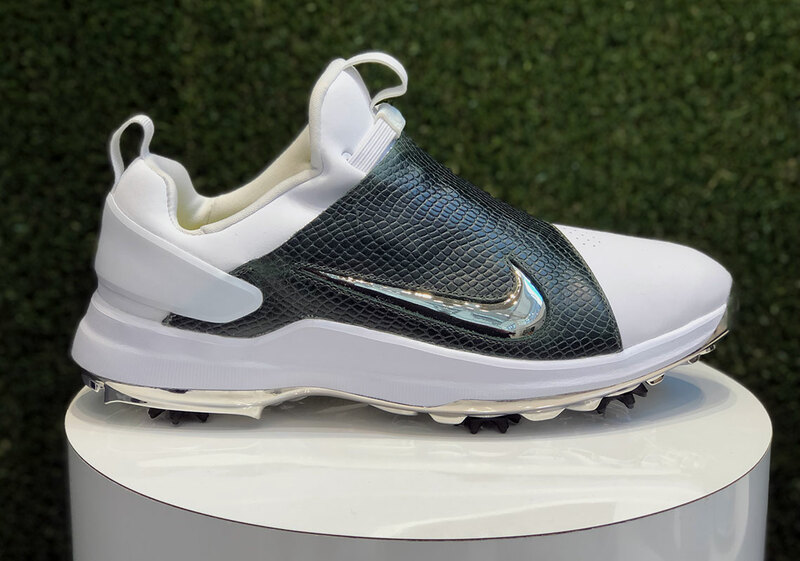 One of the biggest sportswear companies involved in the tournament is Nike, who will be marking the special occasion with a pack of golf cleats that will be released in conjunction with the tournament. 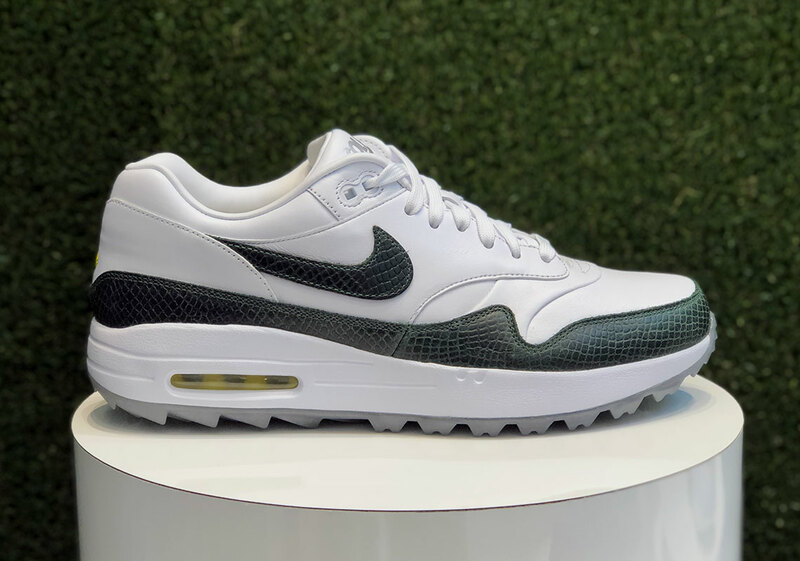 There are six models in the collection including the Nike Air Max 1 Golf, Nike Roshe Golf Tour, Nike React Vapor 2, Nike Zoom Victory Tour, Nike Tour Premiere, and Air Jordan 11 Low. Each model is inspired by August National as patches of green can be found on each shoe. 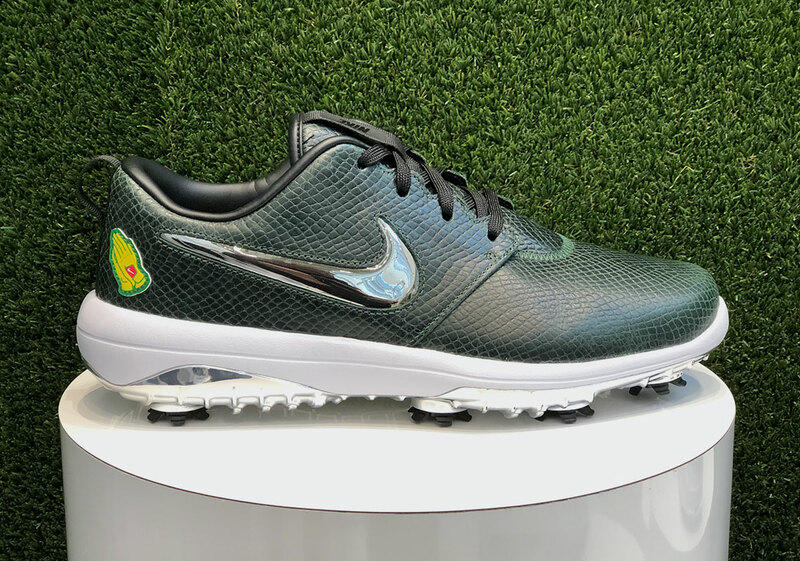 Every cleat in the pack follows the same design principle of white and green, while a yellow prayer hand logo finds its way onto each shoe as well. This logo is a reference to Amen Corner which is the 11th, 12th, and 13th holes at Augusta. 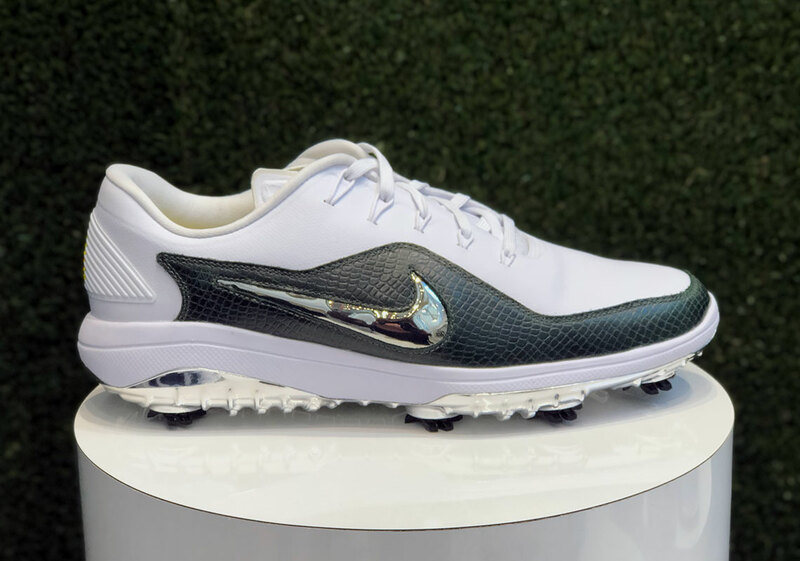 According to Sneaker News, the Nike cleats will be released on April 8th while the Jordan 11 Low will come out on April 12th.